After 50+ hours spent researching, testing and tasting coffee and even more hours spent analyzing concerns and comments from consumers, we determined that the OXO – On Barista Brain is the overall best drip coffee maker thanks to its modern design, refined construction and delicious brew. For connoisseurs who want drip coffee in its purest form, try the Bonavita – BV1900TS. Without any bells and whistles, this brewer sticks to basics and produces a simple cup that a barista would be proud of. If you want one below the $100 threshold, we recommend the Cuisinart – DCC-3200. The massive home brewing industry includes several substantial subcategories like single-cup coffee makers, percolators, French press coffee makers and drip coffee makers. 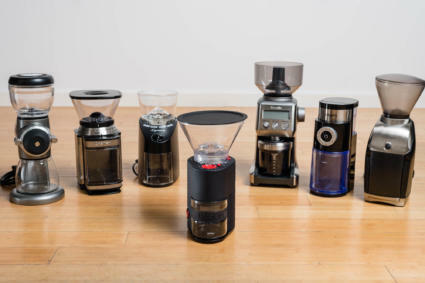 To narrow down the focus and ensure we were able to test thoroughly, we opted to specifically test the most popular drip coffee makers. We also wanted to take cost, ease of use and coffee amount into consideration. Drip coffee makers are the most common household appliances for brewing coffee at home. 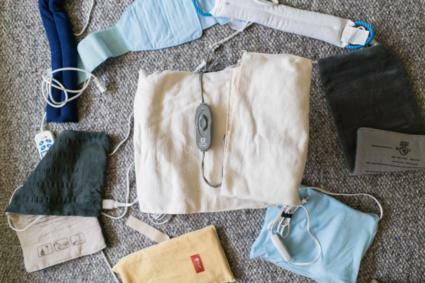 Consisting of a reservoir, a heating element, a shower head, a container for grounds and a tube connecting the heating element to the reservoir, they have a relatively simple composition. 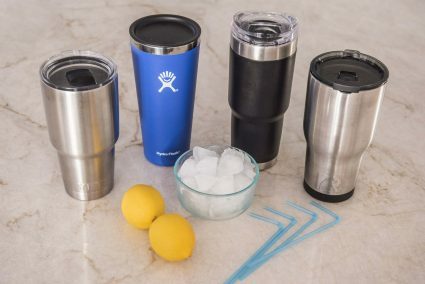 This simplicity makes them easy to use, durable and capable of quenching the thirst for an entire office of coffee drinkers, or just one java lover at home. We wanted to ensure that a variety of brands and styles were tested, so we took to consumer reports, reddit and consumer forums to see what other coffee drinkers were saying. On reddit, we came across the Bonavita and the Moccamaster, which were mentioned in nearly every thread on drip coffee makers. We also read hundreds of Amazon consumer reviews. 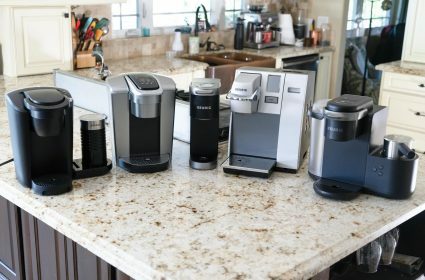 Afterwards, we scoured the rankings for twelve coffee makers that had the highest number of five star reviews and cross-checked other sites. The Specialty Coffee Association of America (SCAA) was the next step in our elimination process. The SCAA has a list of well-regarded home brewing machines that they recommend. It should be noted that to be considered for their list, you must apply. The SCAA rigorously tests each applicant “on proper water temperature, brewing time and ability to brew within their Golden Cup recommendations.” There are only 12 home brewers currently certified by the SCAA. The extensive Consumer Reports guide was consulted, as were reviews from Bed Bath & Beyond and Best Buy. We added a Hamilton Beach maker to our list after noting that Consumer Reports highlighted several different models. None of their other suggestions passed the Amazon consumer rating test; they all either had poor ratings or a small number of excellent reviews. After narrowing down the list to six candidates, we decided to dive into the science behind the brewing process so we knew which elements to test. The science is simple. Fill the reservoir with the desired amount of water, measure the grounds, add them to the filter and it is time to brew! The heating element boils the water causing it to bubble and rise through the tube and into the shower. Here, it flows through the grounds and creates the coffee which drips into the pot. This meant we needed to test water temperature during the brewing process and the amount of time each coffee maker takes from start to finish. Both the basic construction and process behind drip coffee makers are what make them durable and easy to maintain. No one wants to solve a math equation first thing in the morning. They just want to pour some water, measure some grounds, press a button and enjoy. Once we were versed in the best coffee makers on the market and knew exactly how they brewed coffee, we were ready to begin testing. Taste: Taste is obviously subjective, but you should take your preferences into consideration. Are you ok with a cup of joe from a fast food joint or do you prefer going to a coffee shop? Can you distinguish burnt, nutty or fruity coffee? Do you prefer bitter? All of this comes into play when choosing which coffee maker to purchase. The beans you select play a large role in determining the taste of the coffee, but don’t underestimate the machine. Some are constructed to brew for speed, others for temperature and some are intended to brew to the SCAA Golden Standard. Carafe Size (or cup capacity): If you are brewing at home, you may not need a 14 cup carafe, but this could very well be a requirement for an office. Footprint: If you live in a studio or have a small kitchenette in your office, you may not be willing to dedicate a large amount of space to your coffee machine. So, you will want to consider space when purchasing. Height: If you plan to put your coffee maker on your kitchen countertop, be sure to measure the height available in your space. Many of the coffee makers we tested required additional space above them to allow room for pouring water into the reservoir. Ease of Use: A well-designed coffee maker will have a comfortable carafe handle, be easy to pour and easy to fill. It should also be fairly intuitive to use and simple to clean. There shouldn’t be any pools of water around the machine after pouring. Brew Time: Not everyone will mind if their coffee takes 20 minutes to brew, but some want it to be ready in minutes after they wake up. This is also an important factor if you want a machine that meets SCAA standards. They mandate that water should only be in contact with the coffee grounds for six to eight minutes. If it is taking longer, the flavor will be impacted which can result in a bitter cup of coffee. Price: There is a huge range in cost for coffee makers. The cheapest machine we tested was the Hamilton Beach coming in around $57.69. On the other end, the Moccamaster cost close to $300.95. We used a combination of qualitative and quantitative tests to determine the best coffee maker. 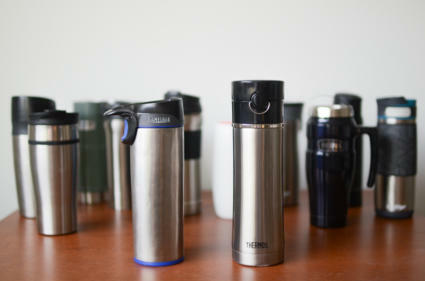 First, we noted practical concerns like temperature, brew time and cup capacity that came up frequently in product reviews. 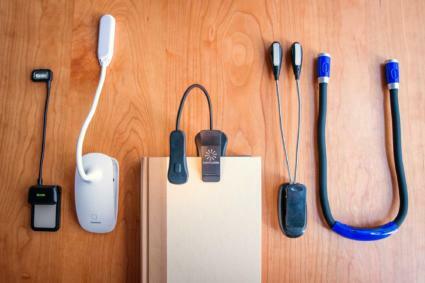 Then we also called on the team to provide insight into usability and taste. We invited eight colleagues to use and taste the six coffee makers and provide feedback over the course of one day. The following day we asked eight different colleagues to participate in a blind taste test and took our own notes on usability. This called for several rounds of testing and resulted in a very hyper work environment. Our goal was to test the coffee makers against SCAA standards to see how they matched up. We used a burr grinder and fresh coffee beans throughout all testing to ensure consistency in taste and grind sizes. As we mentioned above, cup capacity is a big factor to consider when choosing a coffee machine. If you are only brewing for yourself, a 14-cup carafe may be overkill. In an office of 20, the Bonavita didn’t seem quite sufficient. The Cuisinart has the largest cup capacity of 14 cups. While it was slow to brew, it did maintain temperature, which we’ll delve further into later. The SCAA has set standards for brew time as well. They require that brew time last more than four minutes but no longer than eight. If the brew cycle continues for too long, the resulting coffee can be bitter and if it’s too short it will not be strong enough to keep you caffeinated. Brew time varied considerably. We noted that prime performance occurred between the eight to ten cup capacity. If more water than that had to be shuttled through the machine, the task simply could not be completed in time. We performed this test with two iterations. The first time we used exactly eight cups (to match the capacity of our smallest machine), then in the second test we loaded each reservoir with the maximum capacity. In both iterations, only the Bonavita, Moccamaster and the OXO were able to brew a cup in the prime amount of time. The Bunn was able to brew efficiently as well but it has many shortcomings which are why we took it out of the running for this test. According to the SCAA and industry standard, a coffee machine should reach within five degrees of 200°F for four to six minutes. We used the Javelin PRO digital thermometer to measure the water temperature when it began brewing and then measured again five minutes later. To ensure that we were getting the water temperature as it hit the coffee grounds, as the SCAA requires for certification, we inserted the Javelin right above the grounds where the shower head disposes the water. The SCAA also has relatively strict requirements for temperatures in the carafe after brewing, which we also tested. Not surprisingly, the three priciest models were the only coffee makers to come close to upholding this standard. The OXO was the only coffee maker to maintain the appropriate temperature for five minutes. The Bonavita and the Moccamaster both came close, passing the first test but losing heat in the second. Now we get into the fun stuff. After watching these coffee makers in action for the above testing, we brewed a few pots in each machine for tasting. We opted to do both a blind and an open trial to get feedback on functionality as well as pure taste. The eight of us involved in the taste testing are coffee addicts who drink multiple cups a day, both home-brewed and from our favorite local coffee shops. We brewed according to the SCAA standards which call for approximately two tablespoons of coffee grounds per ¾ cup of water. We followed the recommendations listed in each maker’s manual. The first round following SCAA guidelines had far more polarizing results. The scores ranged much more dramatically than when we followed each individual manual. The Moccamaster, the OXO and the Bonavita all required the same amount of grounds as the SCAA standard (which may be why they are all on their list of certified home brewers). As for the other three machines, the amount of coffee was cut in half. 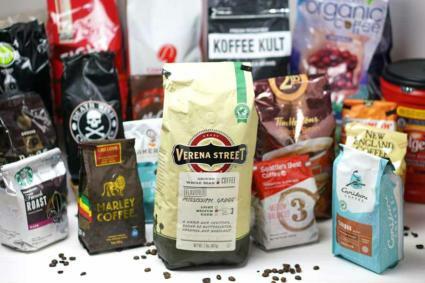 It is interesting to note that while the range of results was much higher in the test that made use of the SCAA scale, the order remained the same. The OXO came in first and the Bunn took last place. Each maker also came with a recommended serving amount of coffee grinds per cup of water. The OXO and the Moccamaster both came with their own serving scoops which resulted in the highest ranking coffee according to our taste test. Surprisingly, when we followed the instructions in the user manual, the Cuisinart coffee was even stronger. We expected the high-end machines to follow very close to SCAA standards, which they did, but we didn’t expect the less-specialized makers to recommend the same high amount of coffee. Again, the results followed in the same order with the OXO taking first and the Bunn coming in last. During both tests, we asked all participants to rank each coffee on a scale from one to ten on smell, taste, strength and bitterness. We gave them a minute to enjoy each sample and offered water and plain biscuits in between cups to help neutralize their palettes. The floor was also open for any additional feedback. The OXO took first place overall. It scored third in bitterness in both tests, which we considered ideal as we prefer our coffee to be strong but not overly bitter. When the results were averaged, the OXO won in all versions of the test that we performed. It produced coffee with a pleasant aroma and a strength that will wake you up without the biting bitterness. The Bonavita came in second place. It ranked highly for both taste and bitterness. If you do not like strong bitter coffee, this is not the machine for you. The Moccamaster narrowly scored third place, with similar scores that were just slightly lower than the Bonavita. The Moccamaster was notably less bitter than the Bonavita. It was also mentioned by several participants that coffee this machine produced was not particularly hot. Cuisinart scored well in strength and bitterness, balancing out the lower taste and smell results. The one positive comment we heard repeatedly was the nice temperature. Our office likes their coffee hot. The OXO won first place in our series of taste tests. It scored the highest marks in taste, strength and smell. Hamilton Beach is a budget buy that produces mediocre coffee that will keep your office going, but may not have them running back for more. The Bunn coffee maker was not made for taste, it was made to be efficient. It scored poorly across the board. It lost in strength and bitterness and got the second worst results in taste. While each machine brewed a drinkable cup of coffee, the user experience was not created equal. Many of these had slightly aggravating quirks that either resulted in a mess or a less than seamless initial brew. The Bunn was not even part of an initial group test because it took so long to figure out how to get the machine started. All other coffee makers can be operated without really looking at the manual. With The Bunn, you will need the instructions, YouTube tutorial and a time machine so you can just avoid the whole experience. You have to pour water in the reservoir, allow that to heat up and then brew as normal. This may not sound atrocious, but try emptying and cleaning it and get back to us. Aside from the Bunn, none of the coffee machines we tested had any flaws that would prevent us from buying again. The Bonavita has a reservoir that is slightly difficult to fill, but you will only make this mistake once. It also has a brew basket that only attaches to the carafe which means fewer pieces; however, you have nowhere to place the wet, leaking basket when you go to pour your coffee. The Moccamaster has a durable yet lightweight build but also has a lot of loose plastic parts that could easily go missing. It has a cool sensor feature that prevents brewing unless the thermal carafe is placed properly, which helps to prevent spills. Cuisinart has a lid design that users had trouble with because it had to be removed in order to fill the reservoir. Said reservoir also had a narrow opening that led to several spills. The Hamilton Beach and the OXO didn’t have any notable complaints. 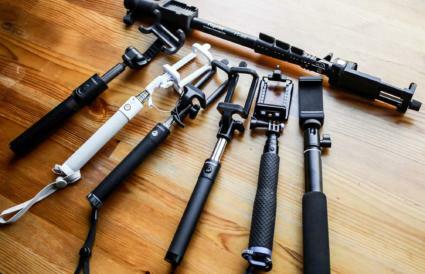 When it came to price, there was a notable range of several hundred dollars between the most and least expensive models we tested. The Hamilton Beach, coming in at $57.69 at our last check, was the least expensive. On the other end of the price spectrum was the Moccamaster costing a whopping $307.95 which is over one hundred dollars more than the next most expensive coffee maker. The Hamilton Beach is a cost-effective model that markets itself as two for the price of one because of the single-serve option. While we had several complaints with the single-serve option, this was a solid option for the price (albeit slow to brew). The OXO – On Barista Brain 9-Cup Coffee Maker won our top pick not only for its simplistic design and usability but also for the quality cup of coffee it produced. Each step of the brewing process from filling the reservoir to enjoying your cup was a breeze. In fact, it is so quiet and easy to use that our team asked if they were using it properly. You need only select your cup amount and wait until the reservoir is empty. Testers appreciated that this machine was simple and fine-tuned in every detail. The OXO - On Barista Brain Coffee Maker is a sleek machine that makes a fantastic cup of coffee while elevating your countertop's minimalist style. The only complaint heard from any of our participants was that you cannot see through the aluminum pot to know how much is left, which can lead to disappointment when the afternoon fatigue hits and there is no coffee left. While it did have a brew time of 8:37 for a full pot, which is several minutes longer than both the Bonavita and Moccamaster (which came in at 6:15 and 6:12 respectively), there were far fewer flaws in this machine than in the other top contenders. The OXO was the only coffee maker to abide by the SCAA rules and keep brewing temperatures within five degrees of 200°F for five minutes. This resulted in a strong, slightly bitter and piping hot cup of coffee. The seasoned coffee drinkers in our office were delighted. In terms of design, the OXO was a crowd favorite. 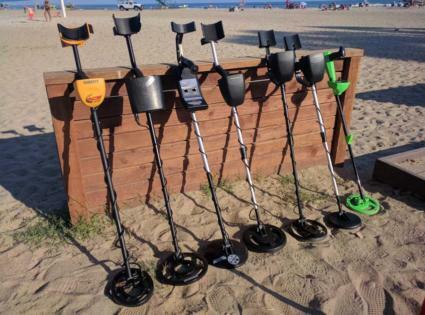 It had the fewest amount of delicate attachments and a sturdy composition that can handle a high volume of use. It also looks incredibly sleek and modern. This is not an unsightly kitchen necessity; it is a welcome futuristic-looking addition. The OXO – On Barista Brain 9-Cup Coffee Maker brewed coffee according to industry standards for temperature and brew time. Its sleek stainless steel design looks great on any countertop. This was the most user-friendly coffee maker we tested, with only a button and a knob to operate. The Bonavita – BV1900TS was selected as the second best coffee maker in our testing. We have to qualify this by saying that bitterness was ranked as a negative rather than a positive. If you prefer bitter coffee, the Moccamaster might be a better fit for you. Overall, The Bonavita brewed a wonderful, balanced and nutty cup of coffee in just six minutes. It came within three degrees of maintaining the temperature recommended by the SCAA. This was likely due to the fact that it had practically finished brewing by the time five minutes had passed and we measured the temperature again. This coffee machine looks like something you would see in a trendy coffee shop or on a designer kitchen’s counter. Without any bells and whistles, this maker is built with one purpose, delivering a consistent and reliable cup of coffee. Although the individual pieces won’t strike you as built to last, the pared down design makes it seem like this coffee machine has a long life in it. While it may be a splurge (with some design quirks), it will impress connoisseurs with its brew quality. While the Bonavita did produce the best tasting cup of coffee, there are a few notable concerns that prevented it from being our top pick. Let’s start with filling the reservoir. This seems like a simple task, but if you like to fill the reservoir with your coffee pot, you are in for a mess. Without the lid, the coffee pot spills water everywhere and you will quickly find any nearby items covered in water. We opted to use an extra cup rather than the coffee pot itself. Next we have the shower head and basket. The shower head is flimsy and mists over coffee grounds that lay in a filter basket. The basket is not attached to anything and becomes a nuisance after brewing. When you go to pour your first cup, you have to remove the filter basket and replace with the lid. While we did find this to be annoying, we adapted quickly and found that it pressured us to maintain a cleaner coffee maker (since you are forced to empty and clean the filter basket immediately after use). Overall, this is a pricy option but it did brew amazing coffee and was easy to clean and maintain. It also takes up a very small amount of space and has a portable aluminum coffee pot you can bring to your workspace for easy refills. The Bonavita – BV1900TS’s design is aesthetically approved for every household with its petite, sleek shape. The basket in which the grounds are placed are not fixed to the machine, occasionally leading to a scattering of coffee grounds. This is a pricy option, but the coffee it brews is top-notch. If you are looking for a quality coffee maker under $100, the Cuisinart – DCC-3200 is a great choice. It came in third place in our taste test and cost only $74.99 when we checked last, which is over a hundred dollars less than our top pick and two hundred less than our second choice. This is also a great option for an office because it brews a whopping 14 cups at a time, which is significantly more than the OXO’s nine-cup limit. The Cuisinart is a steal at under $100 for a 14-cup capacity brewer. We recommend this option for large households or an office setting. While brewing a batch of coffee, we really enjoyed the sturdiness of this machine. The handle was the most comfortable to hold and carry. 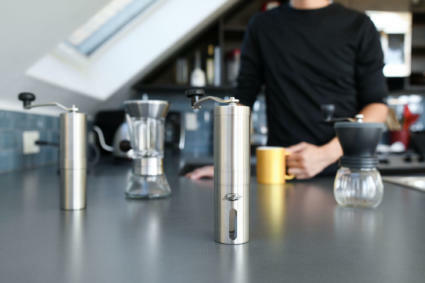 Although this coffee maker might not have the same sleek design as the high-end Bonavita or Moccamaster, it still looks relatively streamlines and is quiet and compact, especially considering how much coffee it can produce. In the taste test, several participants noted how great the temperature of this coffee was. If you prefer a piping hot cup of joe, give the Cuisinart a shot. Surprisingly, this was one of the only machines that actually notified you with a beep when the brewing process was complete. We thought this was a nice touch on a well-thought-out product. The Cuisinart – DCC-3200 is a steal that also brews a whopping 14 cups at a time. This machine brewed the hottest cup of joe and even notifies you when coffee is brewed. There was a notable divide in the six coffee machines we tested. Three were built to appease coffee connoisseurs and the other three were built for those who just want a cup of morning joe. The Technivorm – Moccamaster definitely belongs in the former category. This difference was not only evident in cost, but design and taste. 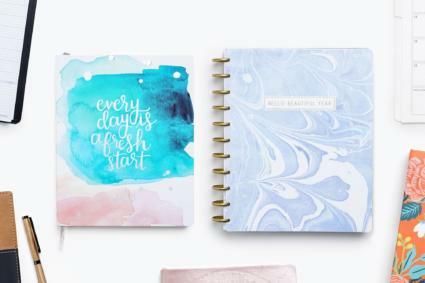 Costing $307 at our last check, this maker has the price tag and delicate design that elevates it from the everyday brand. We really enjoyed using this coffee machine and drinking the coffee it produced. It narrowly missed being named our runner-up because of the bitterness of the coffee it brewed. Not only is the Hamilton Beach the cheapest coffee maker on our list, but it also offers a single-serve option. The Hamilton Beach came in last place in our taste tests and scored low for the poor strength of the coffee. This coffee maker was not made for satisfying a refined palette; it was made for practicality. None of the other coffee makers had any notable flaws that would prevent us from recommending a purchase other than the Bunn – NHS Velocity Brew. Using the Bunn is the opposite of straightforward. When you start your day, a complicated coffee maker is the last thing you want to deal with. The instruction manual was practically useless. We had to watch several YouTube tutorials to even get the brewing started. When first setting up the Bunn coffee maker, you are required to fill multiple pots of water into the maker. It’s easy to overfill without warning, which results in water spilling from the bottom. After making a huge mess, we hesitantly hit the start button. Both filling and emptying the water reservoir is an ordeal. To empty it, you have to pick it up, carry it to the sink and hold the entire machine upside down. This led to the assumption that most Bunn users probably don’t clean their coffee maker often. The Bunn can brew a cup in three and a half minutes because it is always on and always heating the water that is permanently left in the reservoir. Although the Bunn is recommended by the SCAA, during our testing we found that it failed to reach proper temperature when brewing the coffee or hold at the proper temperature. SCAA rule states that the brew basket much reach, but never exceed 197.6-204.8°F, we found the bunn only reached 196°F. Another rule requires the carafe to hold an entire pot of coffee between 176-185°F for 30 minutes, but at the end of 30 minutes, the Bunn had dropped to a temperature of 168°F. 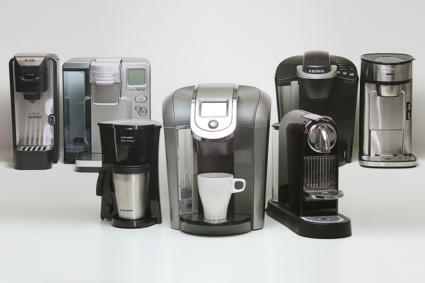 All of these coffee machines produce drinkable coffee, but a coffee maker should be more than that in our eyes. If you are a caffeine addict like us, you rely on this machine to get you through the day. Investing slightly more for a cup of coffee that makes you eager to get out of bed in the morning is a game changer. The OXO not only had us racing to get that first sip in the morning, but it also revamped our countertop. The space is no longer covered in coffee grounds or puddles of coffee from a poorly designed machine. The coffee area is tidy because every part of the OXO is doing exactly what it was designed to do and looking super cool while doing it. The OXO - On Barista Brain 9-Cup Coffee Maker will quickly brew a delicious cup of joe with minimal effort with its simplistic and well-styled design. Sarah supports Your Best Digs with content development and PR efforts. She's passionate about evaluating everyday home products to help consumers save time and money. When she's not putting a product's promise to the test, you'll find her hiking a local trail or collecting new stamps in her passport.